A Canadian passport office is regarded as one of three distinct institutions: a passport Canada service station location, a participating Canadian post office, and a participating Service Canada Centre. Throughout the country, these various Canadian passport locations enable citizens of all ages to receive a passport. A passport is a fundamental document that not only provides proof of citizenship, and identification, but also enables a citizen to travel to other countries and not face any hassles upon re-entering their home land. 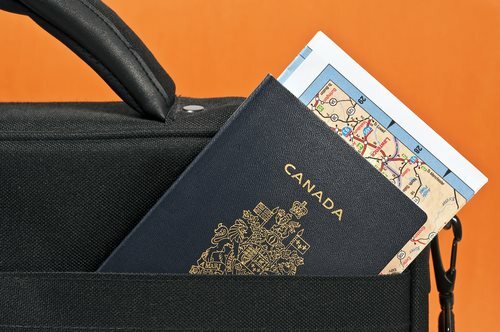 Through the country's government it is stated that the Canadian passport is the only reliable and universally accepted document that enables a citizen the ability to rented the country. Although the locations may vary, the requirements associated with the Canadian passport application form do not. The requirements instilled by the government of Canada do not waver in regards to location. Each location contains a Canadian passport application form that is comprised of 3 separate pages. All of these pages must be fulfilled and completed within the last 12 months of the application. Furthermore, at least two identical passport photos must be submitted upon completion of the application, and a proof of Canadian citizenship must also be offered at the various Canadian passport offices. The most efficient, yet most rare form of Canadian passport office is the Canadian passport service station. These institutions, which are run by the government allow a citizen to obtain a passport within 10 business days. Although this wait is still lengthy, it beats the 3-6 week time frame offered by the post offices and service centres that offer passport applications. That being said, perhaps the most efficient way to file a Canadian passport application form is to do so through the Internet. In addition to the added comfort and ease, an online application allows an individual to access the multiple Canadian passport application forms and step-by-step filing directions for each form.